Neil Schmidgall didn’t invent the portable conveyor, but his customers and employees say he made significant advancements to perfect them in the 1990s. Schmidgall, founder of Superior Industries in Morris, Minn., led the company as it developed a number of portable equipment advancements, including the FD Axle, which is still influential to the industry today. Teamwork was a big part of both Schmidgall’s and Superior’s portable conveyor advancements in the ‘90s. Bob Hodgins, a former customer and friend of Schmidgall’s, says Schmidgall often met individually with aggregate producers to custom-design conveyors with them. Hodgins says it was that flexibility, originality and respect from Schmidgall that captured his attention. Schmidgall caught the attention of others in the aggregates industry, as well, considering he helped Superior grow from a small, Minnesota operation to an international business within two decades. The growth of Schmidgall’s family business was an entrepreneurial evolution. Schmidgall’s grandfather started Hancock Concrete in 1917; his father started Schmidgall Sand & Gravel in 1940; and Schmidgall started Superior Industries in 1972. While each son down the Schmidgall line branched off to start his own aggregates-related business, Paul Schmidgall, Neil’s son, says the business has turned full circle, as Superior bought Hancock Concrete in 2011. Neil says he considered leading Schmidgall Sand & Gravel operations when his father offered the position. But after weighing pros and cons with the family, he opted to delve into aggregate equipment manufacturing. Today, Superior has more than 1,300 workers. The company started in 1972 with just two employees: Neil and his wife, Linda. The couple started the business at the Schmidgall Sand & Gravel property in Morris, Minn.
Neil says he kept things simple at Superior in its early years, building and repairing conveyors for local customers, including his father, Wayne. Although Neil’s father sold Schmidgall Sand & Gravel in 1976, Neil says Superior stayed at his father’s site and continued to grow. Neil never dreamed the company would get big. But by the late 1980s, his business sprouted from a little family shop to one with hundreds of employees and customers. Hodgins can’t remember how he first came across Neil or Superior Industries, but he remembers multiple trips and phone calls with him to work on screening plant designs. During those talks, Hodgins says they would hash out equipment ideas. He adds that Neil usually contributed more to those discussions. The talks would last for weeks, Hodgins says, and after everything was agreed upon, they would shake on it. 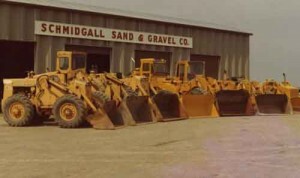 Schmidgall’s father started Schmidgall Sand & Gravel in 1940. “He was an honest person to deal with, and that can be hard to find in construction sometimes,” he says. This one-on-one interaction was the norm. 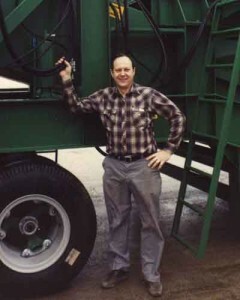 Neil says he regularly teamed with customers to customize equipment that matched their needs. And few companies were doing that in the ‘80s and ‘90s, he says. The FD Axle, considered by many to be Neil’s biggest contribution to the aggregates industry, came from a customer’s request. Neil says a customer pitched the FD Axle idea to him in 1993. From there, he says he designed, patented and manufactured that idea. Mary Erholtz, Neil’s daughter and director of marketing at Superior, says the FD Axle helps portable radial stacking conveyors to move easily from site to site by allowing conveyors to lift or lower wheels quickly. The FD Axle became a staple for portable plant equipment in the aggregates industry, she says. The innovation was made possible because of Neil’s willingness to customize almost all of his equipment with customers’ insights. Possibly the second biggest feat accomplished by Superior during Neil’s time as CEO were the advancements to telescopic radial stacking conveyors. Micah Zeltwanger, CEO of Superior, says Neil encouraged two of his engineers to improve the design of these conveyors. The features added to telescopic radial stacking conveyors by Superior’s two engineers helped to popularize the product in the aggregates industry. “The advancements some of our engineers made to telescopic radial stacking conveyors solved problems in the industry at that time,” Zeltwanger says. Zeltwanger says Neil gave a considerable amount of input to his engineers on this project, while also giving them enough freedom to make some of their own decisions. He believes Neil’s leadership influenced the success of its telescopic radial stacking conveyors. Neil regularly teamed with customers to customize equipment that matched their needs. While the equipment that emerged from Superior during Neil’s time as president and CEO was impressive, employees and colleagues say they are just as impressed with some of Neil’s leadership values that helped the company reach its goals. 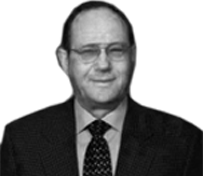 Many of Neil’s values have remained with the company even after his retirement in 2004. His son, Paul, says Neil’s value of working with integrity stuck out most to him, helping him in leadership positions at the company. Zeltwanger believes giving employees opportunities to grow was always one of Neil’s most important contributions to assure the company would thrive. Even in retirement, Neil seldom sits still. Neil has kept busy, coming up with equipment ideas, whittling wooden crafts for his grandkids and sharing insight on the aggregates industry to anyone who needs it. Paul jokes that although his father is retired, his official title at Superior is “coach.” It’s even written on his business card. While it’s been challenging for Neil to step back as coach the past decade, he says it’s critical at this point in his life to let future generations make the big decisions.